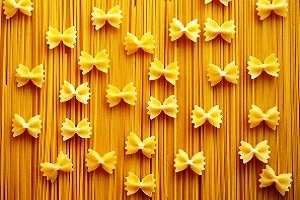 The word pasta is generally used to describe the traditional Italian noodles which has become synonymous with Italian cuisine. 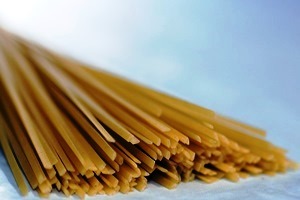 Pasta is a noodle made in various shapes from the flour of durum wheat by making an unleavened dough which is made by mixing water or egg and oil sometimes. 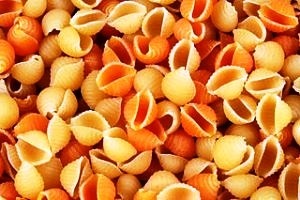 Pasta can also be made from semolina and potato starch. 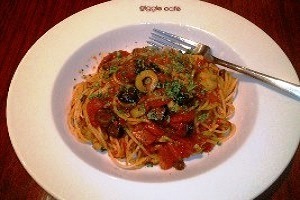 Pasta is a part of Italian cuisine where it is a staple diet. 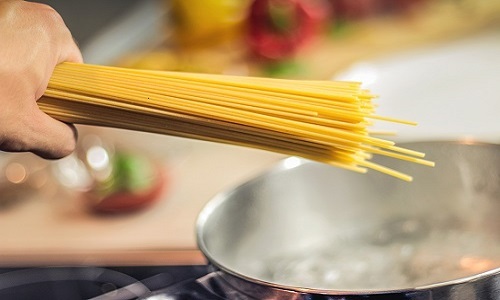 The history of pasta is difficult to determine as this has been the food of common people for very long and there are many dishes which are made from the same ingredients of which pasta is made. 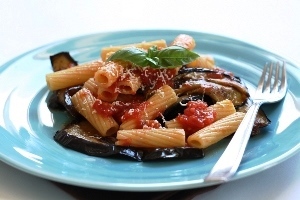 Though pasta originated in Sicily in Italy (some argue that pasta originated in China and some say it originated in Libya), is now enjoyed universally. 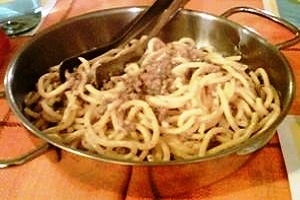 In Germany it is termed as “Spaetzle”, in Poland it is called “Pieragi”, in Japan it is called “Udon”, and in China it is called “Mein”. 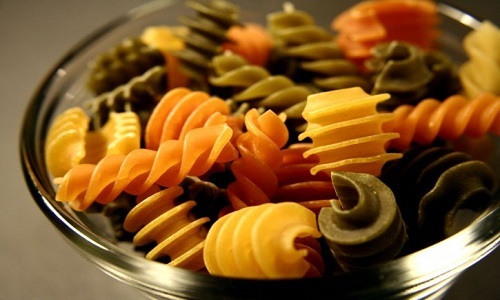 Pasta can be plain, colored, filled with meat or vegetable, long, short, and depending upon the requirement. 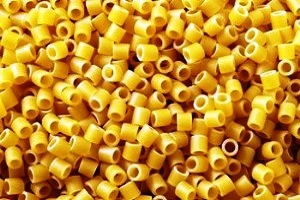 There are around 600 shapes of pasta shapes made around the world. 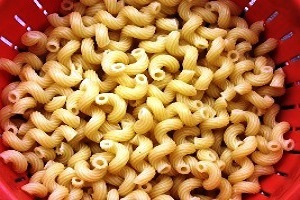 Some of the pasta example are below in the list. 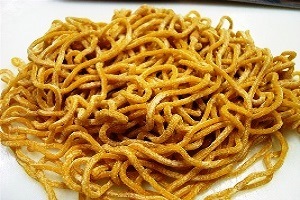 Barbine- Thin strands of pasta coiled as nest. 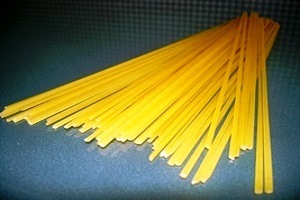 Bucatini- Medium sized long tube shaped pasta similar to thin drinking straw, also called as Perciatelli. Bucato mean pierced on Italian. 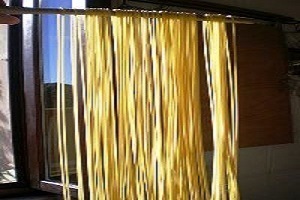 Cappellini- Very thin round strands of pasta, also called as Capelli d’ Angelo Hair Pasta. 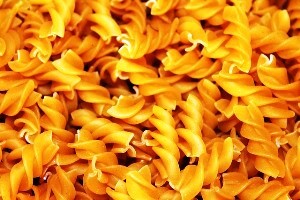 Fusilli Lunghi- Long spiral pasta like telephone cord, also called fusilli bucati. 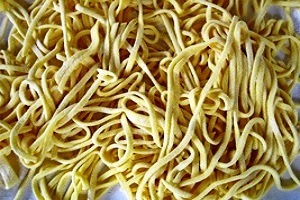 Linguine- Flat noodles, wider than spaghetti, but narrower than fettuccine and elliptical in section, 4 mm in width. 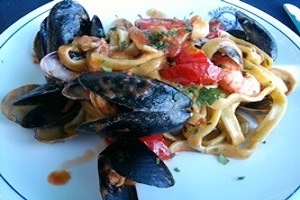 Linguine means “Little Tongue” in Italian. 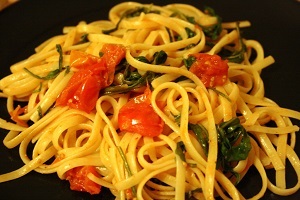 Linguettine- Similar to Linguine but thinner. 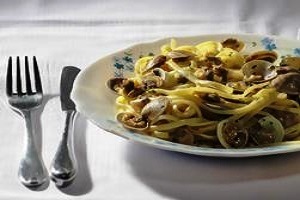 Maccheroni alla molinara- It is an uneven, long and thick fresh pasta that is hand-pulled to a diameter of about 4–6 mm, also called as the Miller’s Wife pasta. 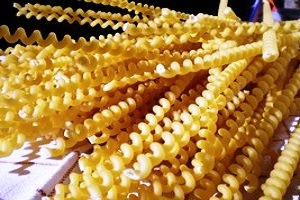 Perciatelli- Fat, hollow pasta strands, Identical to bucatini. 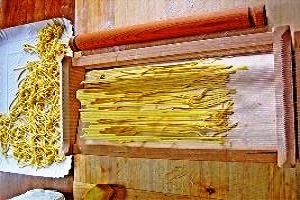 Pici- Very thick, long, hand rolled pasta. 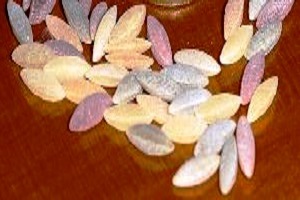 It originates in the province of Siena in Tuscany; in the Montalcino area it is also referred to as pinci. 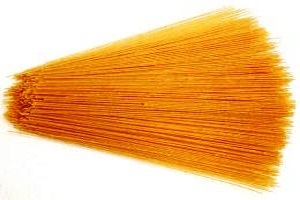 Spaghetti- Long, thin strands of pasta. 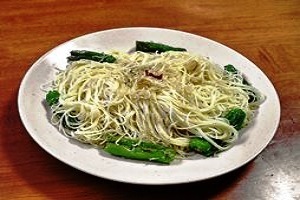 Spaghettoni- A spaghetti that is extra thick or extra-long. 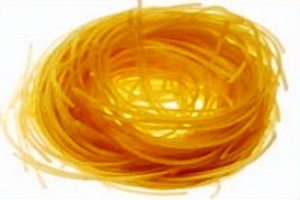 Vermicelli- Fine pasta, usually folded into skeins and stuffed/filled, thinner than spaghetti. 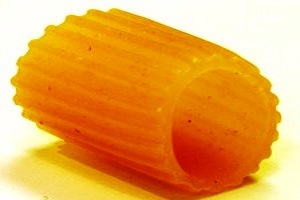 Boccolotti- Small tube of pasta like large finger ring. 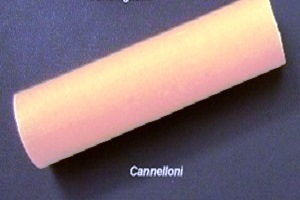 Cannelloni- Large tube-shaped pasta filled with meat or cheese. 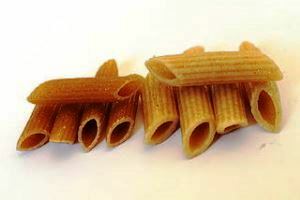 Chifferi- Type of Maccheroni, small and wide curved tube also called as elbow or “Gomiti” pasta. 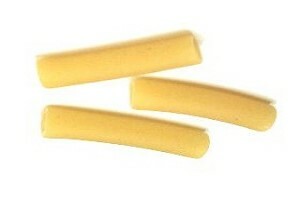 Ditali/Ditalini- Short tubes similar to macaroni. 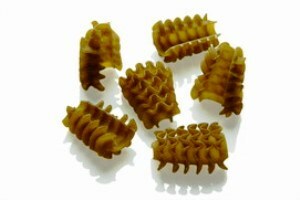 Elicoidali- Means “helixes”, these are straight edged tube pasta with ridged curves. 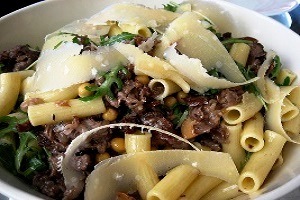 Fagioli- Short narrow tube pasta. 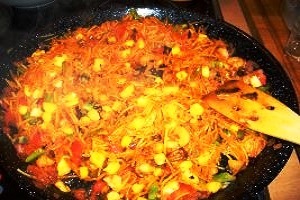 Fideuà- Short and thin tubes of pasta used in a Spanish dish name Fideua similar to paella. 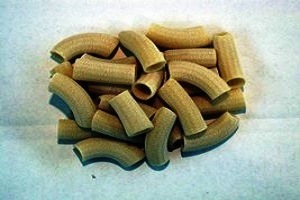 Gomiti- Short and curved, tubular pasta with semi-circle shape. 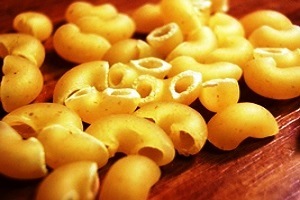 Maccheroni- General Term used for variety of small tubular pasta, short cut tubes, a favorite with cheese sauce. 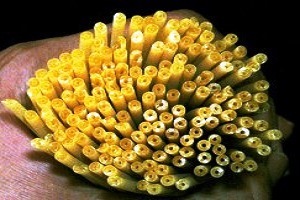 Maccheroncelli- Hollow tube-shaped pasta that is slightly smaller than a pencil in thickness. 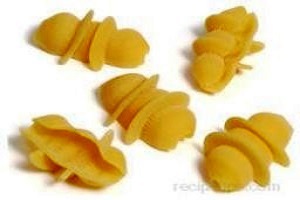 Macaroni- Elbow shaped small tubes pasta similar to chiferi. 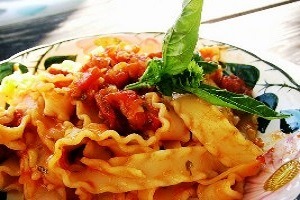 Maltagliati- A short and wide pasta with roughly or diagonally cut ends. 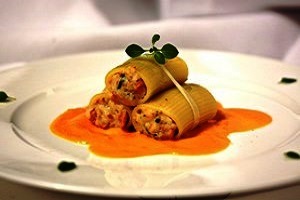 Manicotti- Large ridged pasta diagonally cut ends. 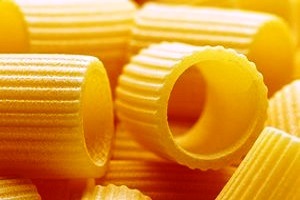 Mezzani- Short curved tube pasta. 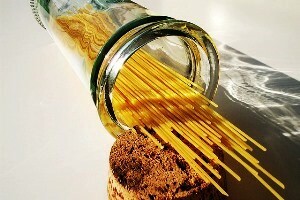 Mezzi Bombardoni- Short and wide tube pasta. 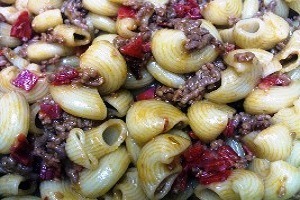 Mostaccioli- Diagonally cut, tubular-shaped pasta. 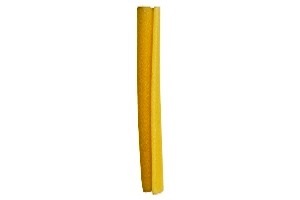 Paccheri- Large tube of pasta. 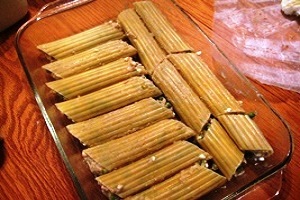 Pasta al Ceppo- Pasta in shape of cinnamon stick. 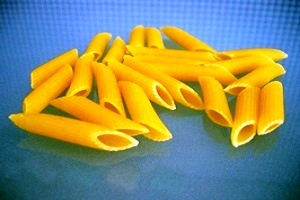 Penne- Quill shaped short pasta tubes. 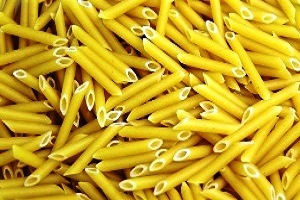 Penne means “pen” for their nib like ends. 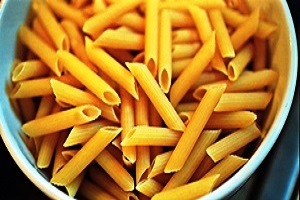 Penne Lisce- Penne pasta with smooth surface, also called as Mostaccioli. Penne Ziti- Fatter than normal penne. 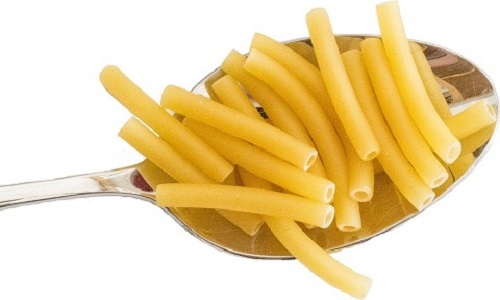 Penne Rigate- Diagonally cut, tubular-shaped pasta with ridged surface. 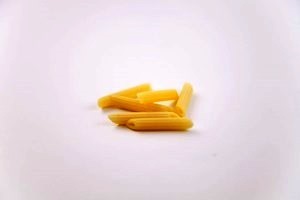 Pennette- Short and thinner version of penne. Pennoni- Fat penne, largest and least common of penne. 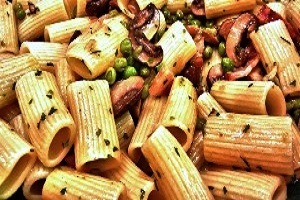 Rigatoni- Short ridged tubes pasta. 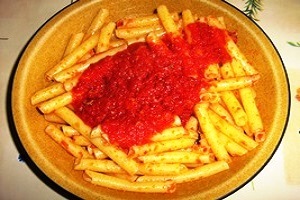 Rigatoncini- Smaller version of rigatoni. 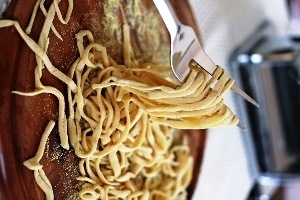 Rotelle-Corkscrew or spiral shaped pasta. 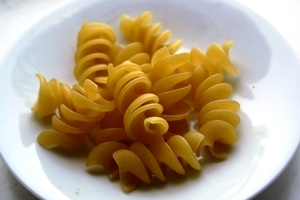 Rotini- Corkscrew or spiral shaped pasta, about 1 ½ inches long. 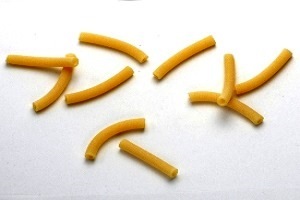 Ziti- Large noodles, shaped like macaroni. 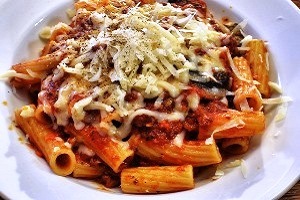 Ziti Rigati- Medium-sized tubular pasta, slightly curved. 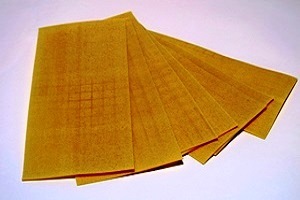 Ciriole- Thicker version of chitarra. 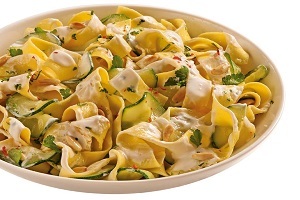 Fettuce- Wider version of fettuccine. 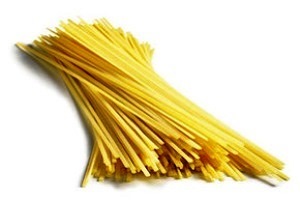 Fettuccine– Thin noodles wider than spaghetti. 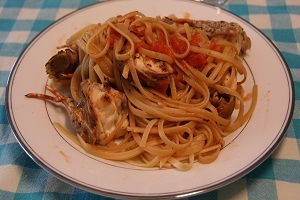 Fettucelle- Narrower version of fettuccine. 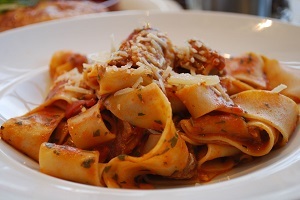 Lagane- Wide shape pasta, Similar to Pappardelle. Lasagne– Broad, flat, ripple-edged strips noodles, about 2-1/4-inches wide and 10-inches long usually baked with meat, cheese and tomato sauce. 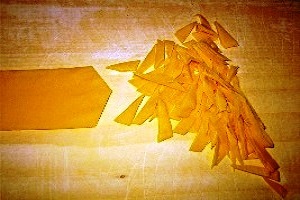 Lasagnotte- Longer version of Lasagne with rigged edges. 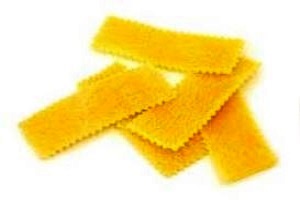 Mafalde- Short rectangular ribbons. Named in honor of Princess Mafalda of Savoy. 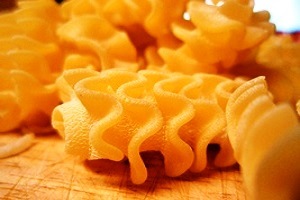 Mafaldine- Long ribbons with ruffled sides. 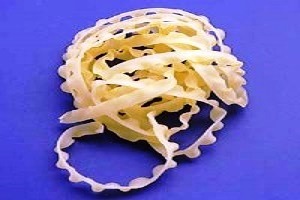 Pillus- Very thin ribbon Pasta. 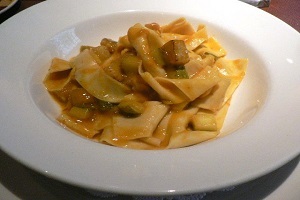 Pappardelle- Broad, long noodles of 2 cm width, can be saw edged. 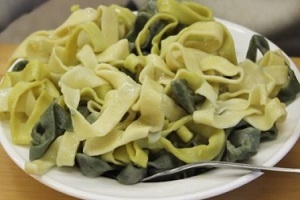 Pizzoccheri- A type of short tagliatelle, a flat ribbon pasta, made with 80% buckwheat flour and 20% wheat flour. 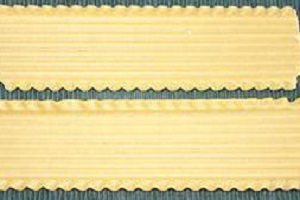 Sagnarelli- Rectangular ribbons with fluted edges. 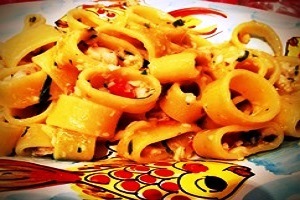 Scilatielli- Homemade long spaghetti with a twisted long spiral. 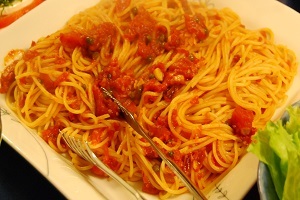 Spaghetti alla chitarra- Similar to spaghetti, except square rather than round, and made of egg in addition to flour. 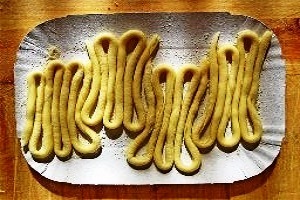 Stringozzi- Pasta Similar to the shape of shoe laces. 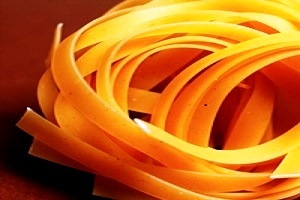 Tagliatelle- Long, flat strands of pasta of 8 mm width (1/3 inch). 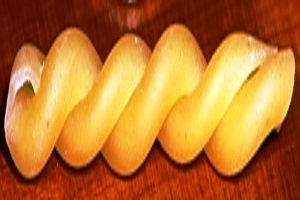 Trenette- Long, narrow strips of pasta of 5mm width. 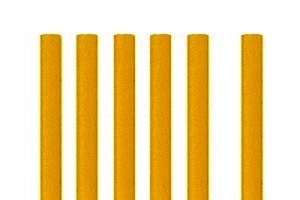 Tripoline- Thick ribbon ridged on one side. 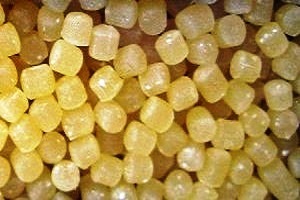 Acini di Pepe- “Pepe” is an Italian word for Peppercorn. 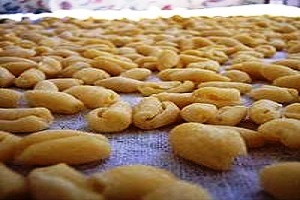 Very small bead shaped pasta sometimes referred as “Pastina” mean tiny dough in Italian. 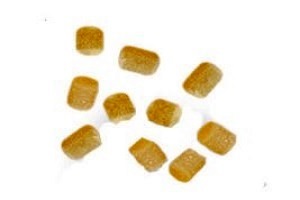 Acomo Pepe– Tiny pearl shaped pasta used for soup and cold salad. 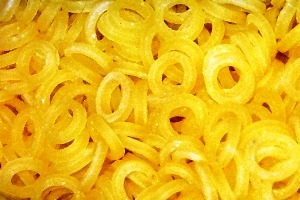 Anelli /Anelline- Small rings used for soup. 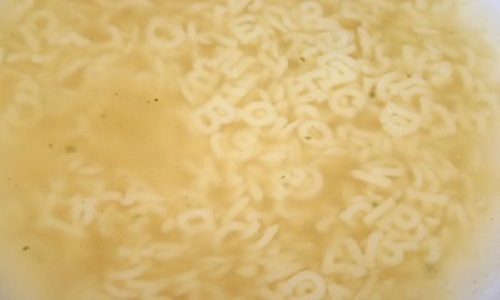 Orzo- Big rice shaped pasta usually used in soups. 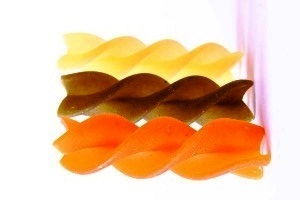 Anelloni- Thick ringed ribbons; designed by physicists at the University of Warwick to study ring-shaped polymers. 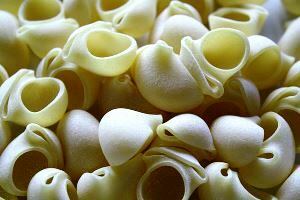 Conchiglie- Sea shells shaped pasta. 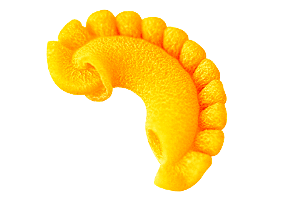 Cresti di Gallo- Creste di Gallo Crescent shaped pasta with a ruffled edge along the outer curve that resembles a rooster’s crest. 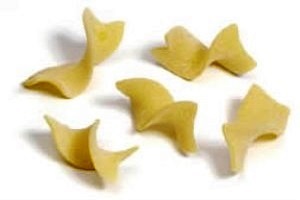 Farfalle- Bow-tie or butterfly shaped pasta, with crimped center & pinked edges. 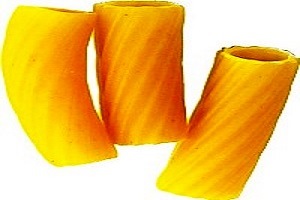 Garganelli- Handmade tube pasta square shaped made in to tube by wrapping. 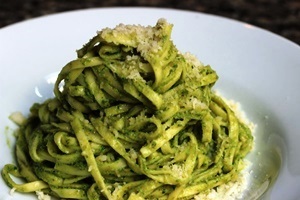 Gemelli- Medium sized pasta, like two short pieces of tubular spaghetti twisted together. 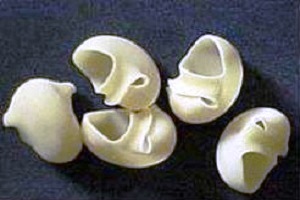 Lumaconi- Big pasta shells often used for fillings. 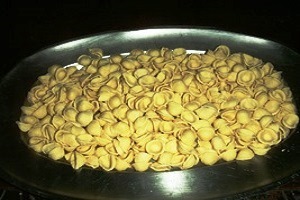 Orecchiette- Small ear or shell shaped pasta. 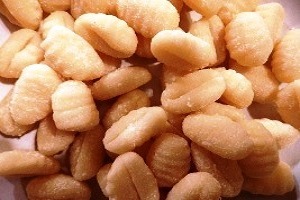 Orecchitte Vassoio- Ear shaped pasta also known as Cavatelli. 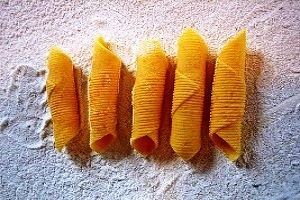 Radiatore- Short, chunky, ruffled-shaped pasta. 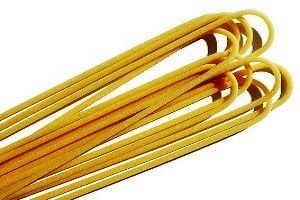 Ricciolini- Two-inch pasta strips, twisted gently. 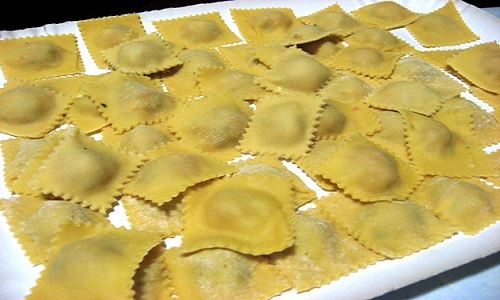 Agnolotti- Similar to ravioli pasta, but smaller in size. 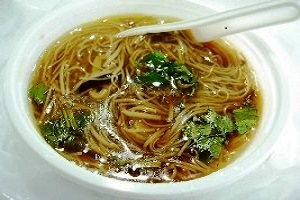 Usually made with stuffed meat, cheese, or vegetables. 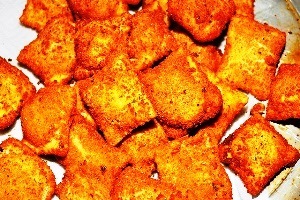 Gnocchi-Potato-based pasta dumplings can be made from flour and semolina also. Ravioli- Pillows of pasta, usually stuffed with cheese, meat, or vegetables. 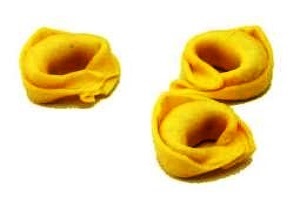 Tortellini- Small, folded hats of pasta, usually stuffed with cheese, meat or vegetables.